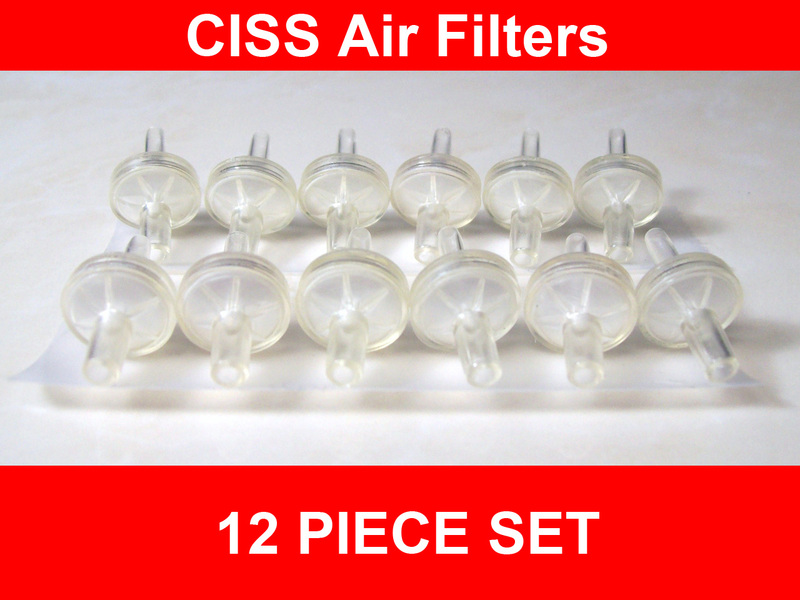 Up for sale are 12 brand new filters used for CISS tanks and cartridges. This auction is for one set of 12 air filters for CISS (Continuous Ink Supply Systems), They are made of high quality plastic. They can be used on almost any CISS (Continuous Ink Suppy System) or refillable cartridge. I have used CIS components for some time with good results. ..